UAS (Universal Anchorage System) refers to the pair of fixed lower anchors built into the crease between the seat back and seat cushion. UAS comes standard in some vehicles manufactured in 2001 and 2002 and all vehicles in 2003 and newer. If your vehicle does not have a UAS anchorage system, you can still use Olli unlatched. The Olli is different: it’s built like the seat in your car. Our Comfort-cube construction includes an additional layer of padding that protects against numb-bum! As world-class seat manufacturers we want to put an end to numb-bum. Clek UAS connectors attach securely to your vehicle’s UAS anchors in 10 seconds (or less) in most vehicles. Weighs 2.5 kg for easy portability between vehicles, through the airport or walking through the city. Crypton® Super Fabrics provide stain, moisture and bacteria resistance. 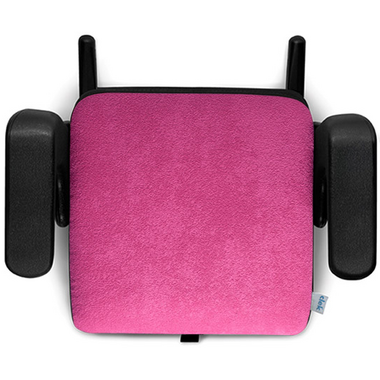 The durable fabric is easy to clean while the seat cover is removable and hand washable. Yes, it is true. Clek products are recyclable through our recycling program. Recycle your seat after you are finished using it or if it has been in an accident. Please note: this is the 2017 model. Captains chairs are not the ideal installation in our van but with a bit of muscle I got it installed. It is very easy to install in regular back seats that are flatter (straghter? lol) and I know that this is much safer than her previous seat that didn't have the latch clips. I wish I would have bought this years ago. I know I'll be buying more when our younger child moves to a booster. Love the seat, the colour, etc. My 8 yr daughter was unsure about the armrests (her previous one did not have them) but she didn't complain once from Kitchener to Ottawa and back about her seat!! !